If your outdoor space needs some more shade, a great solution is to install a patio umbrella. It’s a great functional décor that would help beautify your patio. They come in different styles and sizes. Your guests will also have fun hanging out. But if you really want an upgrade, here are some inspiring ways to update your porch and patio. For your backyard, this guide on the best backyard hammock will help you spruce things up a little. If you’re going out to the beach, this best beach umbrella guide is very useful. So how do you choose the right patio umbrella for your outdoor space? We’ve made a list of great products that you can install. You can start from here to see which one suits your patio the most. Our top choice is the TropiShade Market Umbrella with Rust Polyester Cover. It has the style, functionality, and durability to provide you with years of enjoyment in the shade. This patio umbrella features a three position dura-tilt. 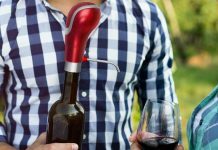 It has a crank lift for easy opening and closing. 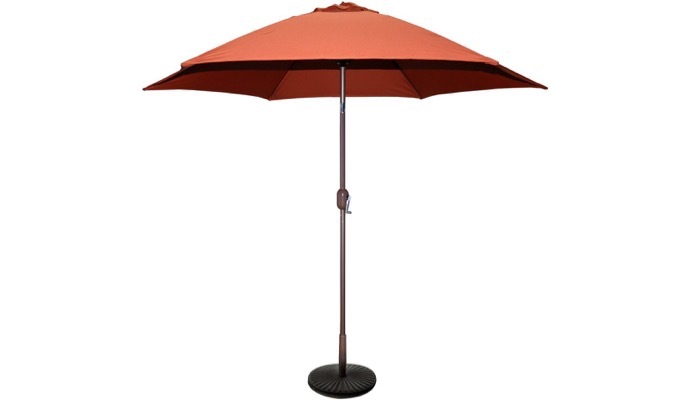 The aluminum umbrella frame has a powder coat finish that is rust free. The 6 fiberglass ribs add extra strength and it includes a single wind vent for stability. It will fit most patio furniture and base. The wind vent deters wind gusts from lifting or tipping the umbrella. Second on our list is the Tylor’s Garden Cantilever Outdoor Patio Umbrella, UV Resistant. This is an 180 GSM polyester fabric with 98% UV protection and sun blocking so it protects you from the sun. It has an additional coating layer for the rain as well. It’s resistant to mold and mildew. The pole is a premium lightweight steel that is has a rust free powder coating. This umbrella fits most bases. The shade diameter provides adequate coverage for a 4-seater round or square tables. 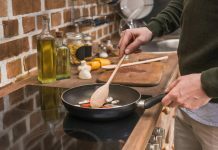 It features an easy cantilever operation mechanism. 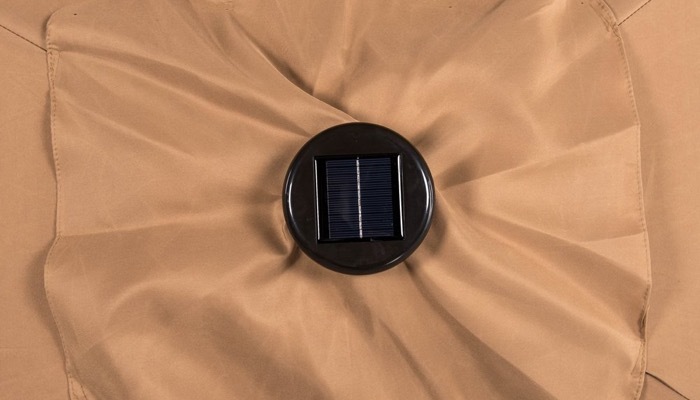 If you want something that is rectangular and has adequate lighting during the night time, the Sundale Outdoor Rectangular Solar Powered Patio Umbrella with Crank and Tilt is a great choice. This is also great for the beach, pool, balconies and of course for the patio. It transforms any space into a perfect shade spot. It features pre-installed solar powered LED lights so you can enjoy it during the night. The umbrella is fade resistant so this is for long term use. It is UV resistant to protect you from the sun. This also guards against water and mildew so it also protects you from the rain. 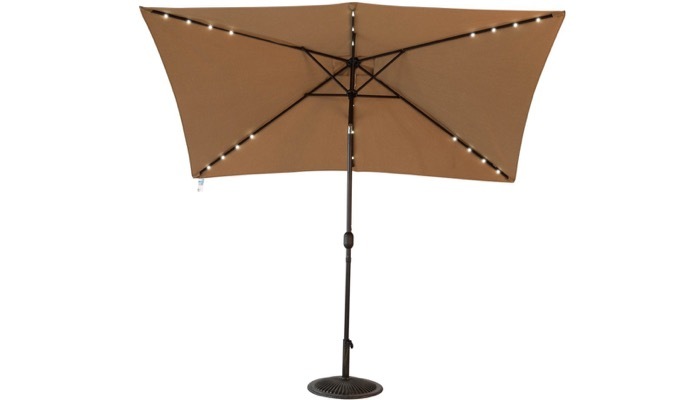 The Le Papillon Hanging Patio Umbrella is also a great option. 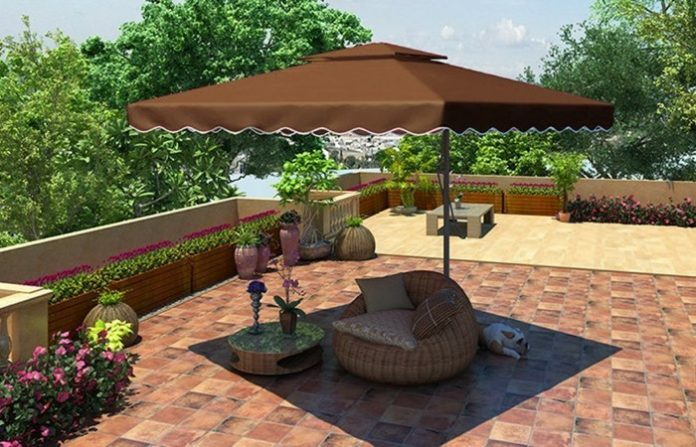 It is a cantilevered umbrella which is also known as a side post or side mount umbrella that allows you to have shade in larger areas. It also adds a new dimension to pool lounging. 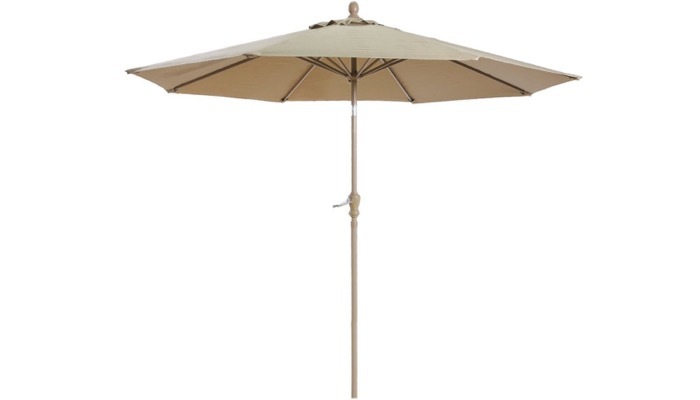 This umbrella has a European elegant look that accents any outdoor setting. The canopy is mildew resistant and blocks out 98% of UV rays. You would need extra weights for stability which are not included. Its canopy fabric is 100% polyester and is also fade resistant so this is for long term use. 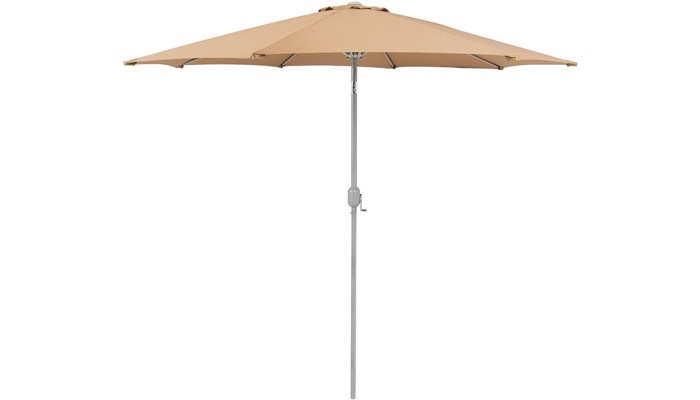 For those who like easy tilt umbrellas, the Balichun Patio Umbrella with Push Button Tilt and Crank is a nice choice. It has a sleek design that is durable. The assembly is simple from start to finish. 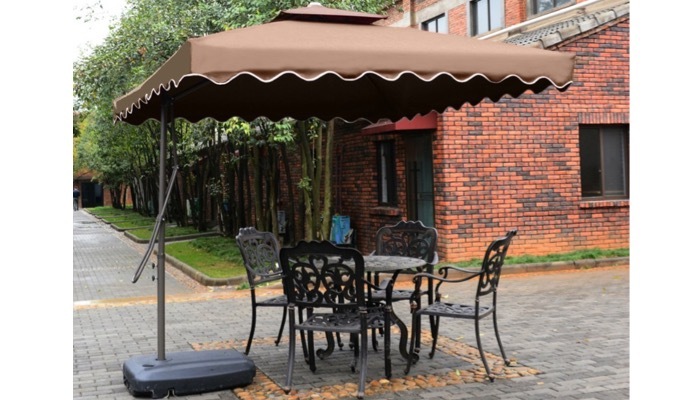 It has 8 steel ribs to keep the umbrella’s shape and provide lots of shade for you and your friends. There is a simple crank to open and close the umbrella. A press of a button will make it lean automatically. The umbrella fabric has a ventilated cover so the wind can pass through easier. It is fade resistant and protects you from the rain. The pole is aluminum, lightweight and steady. 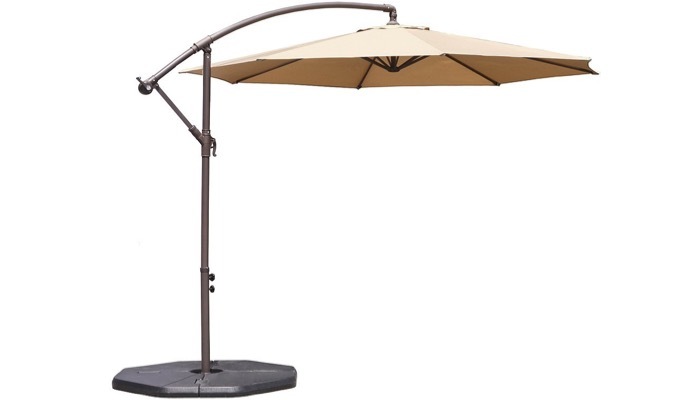 A great affordable alternative is the Best Choice Products Patio Umbrella Tilt W/ Crank. 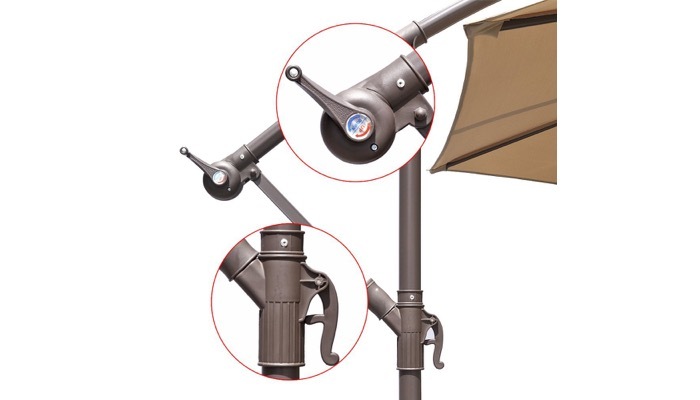 Its crank and tilt mechanism allows you to easily adjust your umbrella to block the sun’s rays at any angle. The 9-foot diameter is wide enough to shade a 48-inch table. It’s UV resistant to protect you from the long-term effects of sun exposure. It has an aluminum pole construction to shade you for hours. The canopy includes a single wind vent to ensure that it will maintain the wind and heat in and around your umbrella so that it remains stable and grounded. You would need to first determine the location of your patio umbrella before buying one. That will help you keep the other considerations in mind. The stand or base of your patio umbrella needs to be stable. Consider a heavy-duty support that could survive different weathers. Some umbrellas require heavy weights or bases and depending on the model, you might have to purchase them separately. You need to measure your table and chairs, and the area where you want to place your patio umbrella. It should be 4 or 5 feet larger than the area that you want to cover. If you want to be able to tilt your umbrella to different angles, you must choose one that has an easy crank and tilt mechanism. This way, you can adjust the coverage depending on the direction of the sunlight or wind. Some umbrellas allow you to tilt with just a push of a button. It’s important that the patio umbrella includes a vent or has proper ventilation. This will allow the umbrella to adjust to weather conditions like when the wind is blowing. The canopy material is also important. It should be able to protect you from or block UV rays. Some are also mildew resistant and it should be able to handle water or rain. Whatever style of patio umbrella you choose, it should be coordinated with your outdoor furniture and overall design.